Traditional Americana isn’t something that many games focus on, but Where the Water Tastes Like Wine, which comes out this month, is set to change that. The folklore RPG releases on February 28. Here’s a huge list of indie games coming out in 2018. The team behind Where the Water Tastes Like Wine, Dim Bulb Games, have their roots in Gone Home and Bioshock 2, to give you some idea of the calibre of story-telling we’re dealing with. The choice-heavy narrative is backed up with some beautiful illustration, and takes players across the US on an adventure through nearly a century of American history. 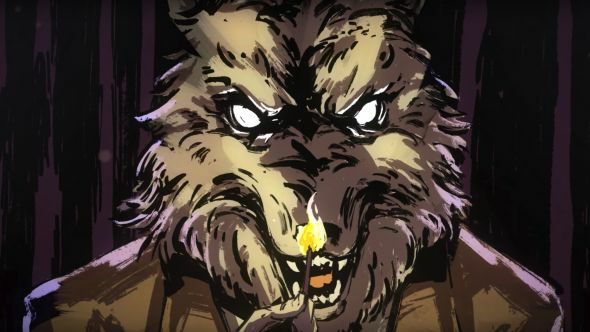 Narrated by Sting, who portrays an anthropomorphic wolf (and features in the game’s latest trailer, which you can watch above), Where the Water Tastes Like Wine combines a simple, but evocative 3D overworld with a gritty 2D artstyle, and a rich tapestry of stories to discover.